Amazon.com Inc.’s generic strategy for competitive advantage, based on Michael Porter’s model, shows the approach that the organization uses to develop its business amid tough competition in the online retail market. As the largest online retailer in the world, Amazon proves to be highly competitive, even against giants like Walmart [Read: Walmart’s Generic & Intensive Growth Strategies]. Amazon’s intensive growth strategies are responsible for business growth and expansion. For instance, the company’s provision of its e-commerce services outside the United States shows business plans for international growth. Through effective implementation of its generic competitive strategy and intensive strategies for growth, Amazon.com succeeds in the global e-commerce market. Amazon’s generic competitive strategy enables the e-commerce business to offer goods and services at affordable rates. 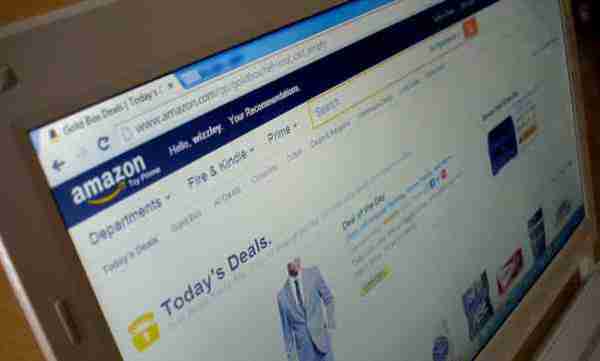 The intensive strategies of Amazon.com Inc. support continuing international growth. Amazon uses cost leadership as its generic strategy for competitive advantage. Minimization of operational costs is the objective in this generic competitive strategy. For example, Amazon.com uses advanced computing and networking technologies for maximum operational efficiency, which translates to minimized costs. Considering the nature of e-commerce, the company benefits from process automation, which is generally used in purchase processing, scheduling, and other operational processes. These benefits enable Amazon.com Inc. to minimize the cost of its online retail and other services. A strategic objective linked to Amazon’s cost leadership generic strategy is to build e-commerce competitive advantage through continuous improvement of information technology infrastructure. In relation, the company also has the strategic objective of heavily investing in research and development (R&D) to optimize the performance of its IT resources. In addition, the cost leadership generic competitive strategy pushes Amazon.com Inc. to minimize its price levels. This strategic objective impacts Amazon’s marketing mix. The low prices are significant in attracting consumers. Thus, through the generic strategy of cost leadership, competitive advantage is gained to support the fulfillment of Amazon.com Inc.’s mission statement and vision statement, especially with regard to online retail global growth and leadership. Market Development. Amazon uses market development as its current primary intensive growth strategy. Entry and growth in new markets is the main objective in this intensive strategy. Amazon.com Inc. adds new countries where it offers its services. For example, the company initially provided its online retail services to consumers in the United States. Amazon now operates e-commerce websites in more than 10 countries, including Canada, the United Kingdom, China and India. Each new country is considered a new market that creates growth opportunities for the firm. Amazon’s generic strategy builds competitive advantage that allows the company to implement this intensive strategy of market development. A strategic objective related to this intensive growth strategy is for Amazon.com to establish new online retail websites that correspond to new countries added to the company’s global market reach. Market Penetration. Market penetration is a secondary intensive growth strategy in Amazon’s online retail business. The objective of this intensive strategy is to generate more revenues from the markets where the company currently operates. Amazon.com grows with increasing consumerism. For example, as consumers develop increasing interest in online retail, the company benefits from higher sales revenues, especially when considering the popularity of the Amazon brand. Market penetration is responsible for the initial rapid growth of Amazon.com Inc. in the United States. The company’s generic strategy creates the competitive advantage necessary to penetrate markets based on low costs and prices. A strategic objective based on this intensive growth strategy is to implement an aggressive marketing campaign to attract more consumers to Amazon’s e-commerce website. Product Development. Amazon.com Inc. applies product development as a supporting intensive strategy for business growth. Developing and offering new products to gain higher revenues is the goal of this intensive growth strategy. Amazon grows partly by developing new products over time. For example, the company now offers AmazonBasics products and Amazon Web Services (AWS). The company’s cost leadership generic strategy supports this intensive strategy by providing the company with low-cost business processes to introduce new products. A strategic objective related to this intensive growth strategy is to increase research and development (R&D) investment for rapid product development and release to the online retail market. Diversification. Diversification is the least significant among Amazon’s intensive growth strategies. Growth based on new business is the objective in applying this intensive strategy. For example, Amazon grew through its acquisition of Audible, which is a producer of audiobooks and related products. In this regard, the company partly uses acquisition to implement this intensive growth strategy. Amazon.com Inc.’s cost leadership generic strategy enables the organization to grow in diversification by applying the same approaches to minimize operating costs and selling prices. A strategic objective associated with this intensive strategy is to grow the e-commerce business through an aggressive acquisition strategy.